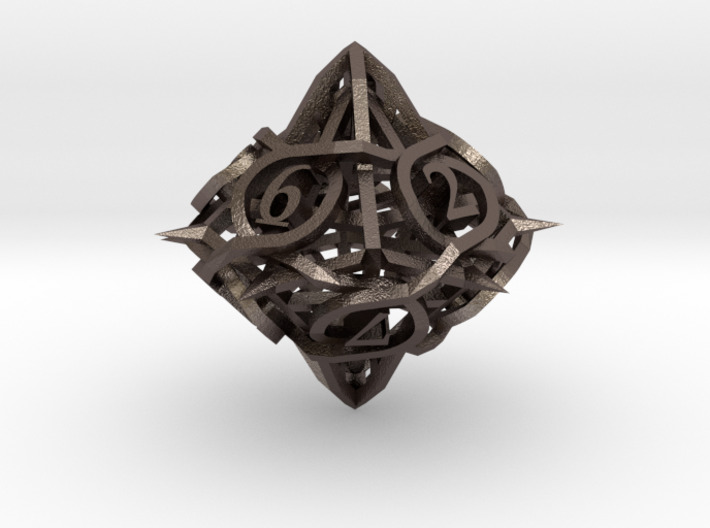 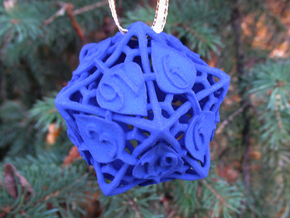 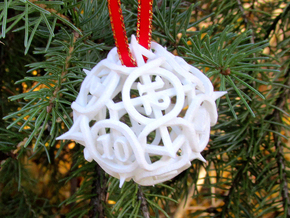 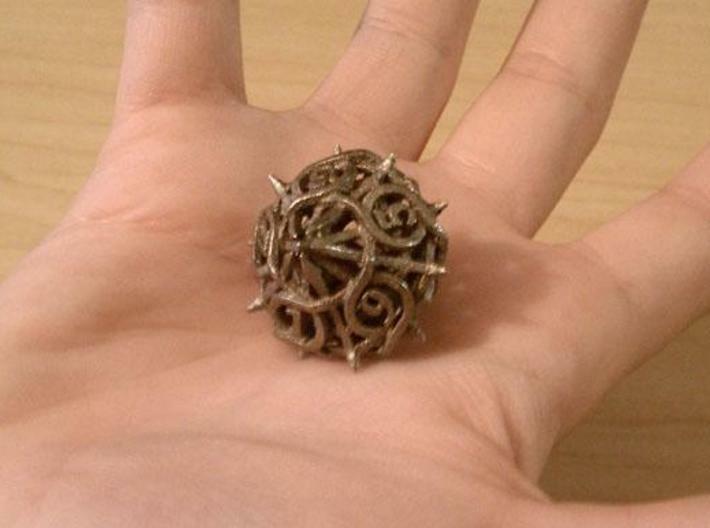 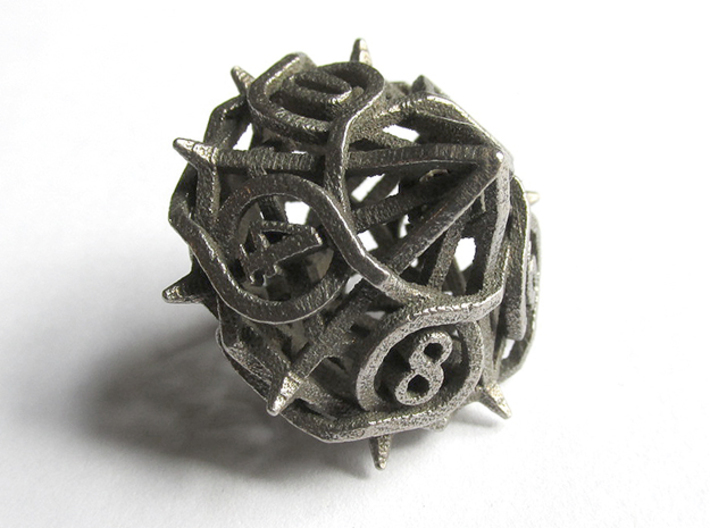 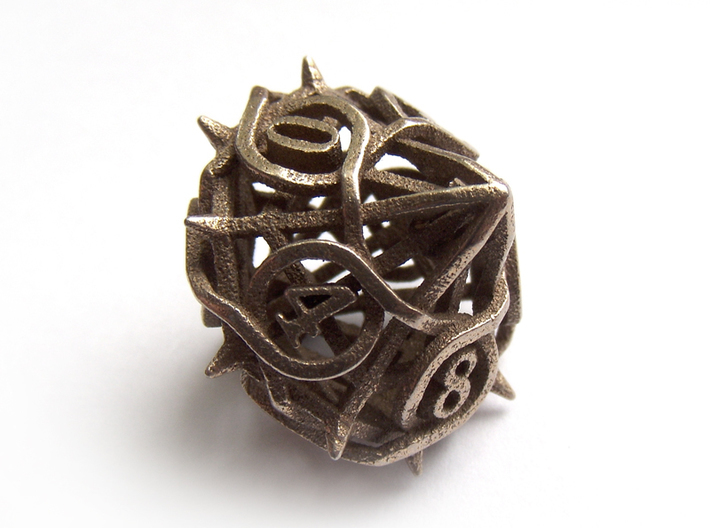 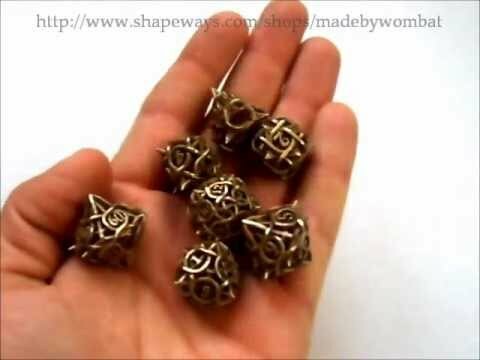 This is a d10 made of interwoven geometric vines and thorns. 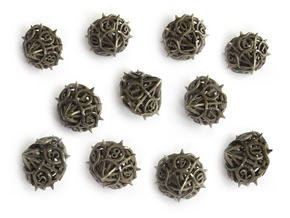 Despite their spiky look, they won't scratch tables. 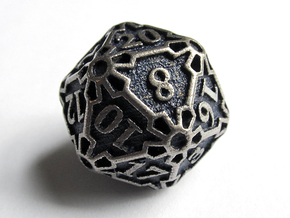 They will, however, leave small dents in character sheets.